When I tell people that changing behavior means rewiring the neural pathways in their brains, sometimes their eyes glaze over. This can happen when you talk about brain science. So I've found it helpful to use a road construction metaphor. Why do people learn what it takes to be successful, and then fail to follow through and apply it? The answer is, their old behavior patterns are already ingrained and comfortable, while the new way is not. An ingrained habit or behavior pattern is like a familiar, well-traveled road. It’s how you usually get there from here. You’ve used it for so many years that the turns and stops are practically automatic. But your habitual way of doing things isn't always the best way. At some point, you may realize that it causes problems for you and others. 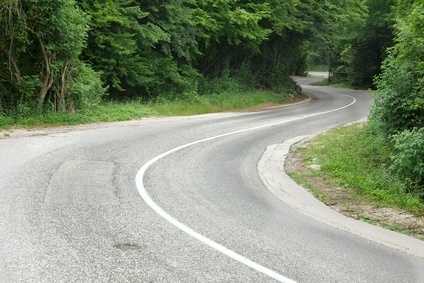 It’s as if some of the twists and turns in your route are hazardous. They could be slowing you down. And then you learn about a better way. But changing a behavior pattern means rewiring your brain. Like building a brand new superhighway, the construction takes time. When you start connecting the brain cells, it’s like grading a new dirt road. It’s rough traveling at first, but you build it up each time you go down it, and the going slowly gets easier. 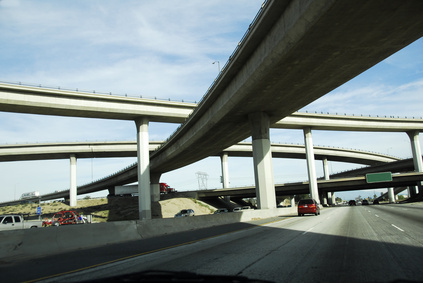 If you stick with it, your new highway will eventually be ready for high-speed use. And the new super-highway is fantastic! It’s faster, easier and more efficient. You get much better results, and it feels as comfortable and familiar as the old way. You stop using the old pathway altogether, and eventually it falls into disrepair. But to get that efficient super-highway, you have to persist through the construction phase, which could take months. Progress is always slow and rough going. When there are unexpected difficulties and setbacks, you’ll be tempted to go back to using your old, familiar route. And that’s what happens to most people. When the new way seems like a struggle, they fall back on old, comfortable behavior patterns. They know what they should be doing and they know the old way causes issues, but they aren’t willing to pay the price to change, and they’d rather stick with what’s already familiar. This is why most attempts to change behavior fail. The going gets rough and people give up. People fall off the wagon. They eat that big piece of pie. They have that cigarette. They go back to the old way of swinging the golf club. They stop trying to listen in a different way. You definitely can make the change. People do it all the time. But it boils down to this: How badly do you want it? Do you want it enough to keep on repeating the new, desired behavior even when it feels awkward or isn't working most of the time? Even if your success, your health or your happiness depends on it, this kind of perseverance takes a lot of commitment. There isn't much I want THAT badly, evidently, Denny. Laugh. I find it nearly impossible to change. Staying focused is essential to get on your new highway, no doubt. Another thing is to not get distracted by another highway nearby which may look better than yours... It always looks better on the other side, right? These fleeting distractions can disrupt your path... or your highway. I so appreciate this article. As a neuroscientist, I understand the brain-wiring perspective. But as a life coach, I have often watched in perplexity as folks discover a better way then fall back into old comfortable patterns. Your explanation using the highway analogy fits perfectly, and is something I will use to help people understand why changing old habits is so very challenging! In my own life, I've noticed that 'construction phase' is the one most difficult to stick with. But oh the rewards for holding out for the new habit to take hold! Thank you for your clear and realistic writing. Yeah. All is a process and we have to stay there. Changes are not easy. Denny - I love the book, Younger Next Year. I'm listening to it on my Ipod a 2nd time right now. Neuroplasticity is what it's all about - training ourselves to take care of ourselves so that we live healthily well into our 80s - or beyond! Once we get that new pattern firmly ingrained - exercising, eating right, etc. - it becomes the "highway" we travel on a regular basis. And it's so rewarding! Great post on change and the focus needed. Like you I am a Spiritual Coach and offer retreats for change. It is worth the price of giving up those old worn out patterns that no longer serve. I compare them to old worn shoes that no longer serve our posture. The new habits are also like new shoes that take a while to feel as comfortable as the old shoes. Thanks for sharing your wisdom.